A data loss can happen at any time for any reason. Spilling your coffee on the CPU, dropping your laptop, accidentally deleting files, or even a virus from a cyber-attacker. Whatever the reason may be, you need to have a backup ready to go. 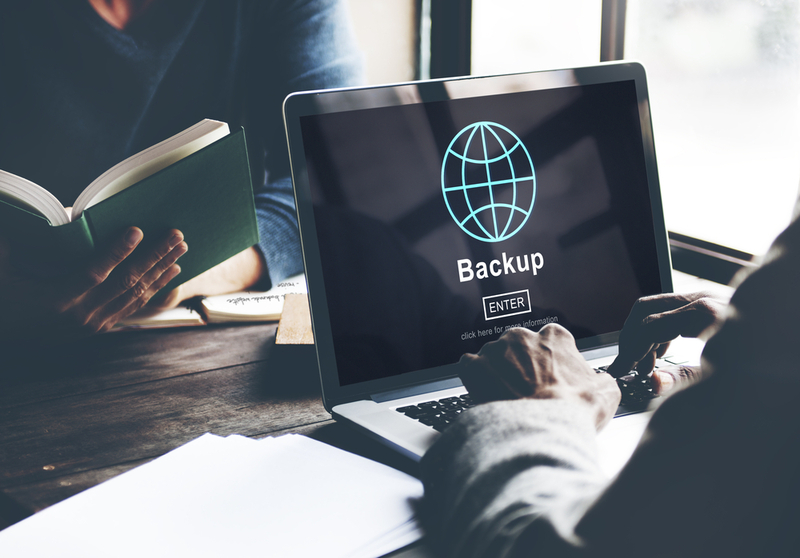 There are three basic ways you can safely backup your data: clone, external, and cloud. Sometimes called a bootable backup, a clone doesn’t just copy all your files, it also copies the software on your hard drive. This method requires some sort of external hard drive and some special software. As the name implies, it’s basically an exact clone of the hard drive in your computer. This is helpful because if you experience a total data loss or lose the entire computer, you can just plug in your clone and keep working without interruption. This is not to say a clone is as good as a regular hard drive. You’ll need to eventually transfer all the data back on to the hard drive to have the speed and functionality you need to work efficiently. Similar to a clone, an external backup stores your data on a secondary hard drive and requires you to manually back up your data. Unlike a clone, a simple external backup doesn’t use any software to capture your entire hard drive with all the software and files. Instead, it just stores the files you select to backup. Meaning you can store a Photoshop file on the external drive, but you wouldn’t be able to open the file unless the computer you’re plugged into has the Photoshop software. An external backup is only intended to be a safety deposit box for Word documents, photos, and other important files. The best option of the three, doesn’t require you to buy any extra hardware or do manual backups. Opting for a cloud backup only requires you to set up an account with the provider and install the software. From there, the software will automatically backup a snapshot of your hard drive, including software and files, without you having to do anything. Best of all, since all your data is being backed up to a secure data center via the cloud, you won’t have to worry about losing or damaging an external hard drive. A good service provider for cloud backup is Back Blaze. If you need help setting up a backup for your computer, come by Geek Rescue today.